My friend Emily has been making (and enjoying!) 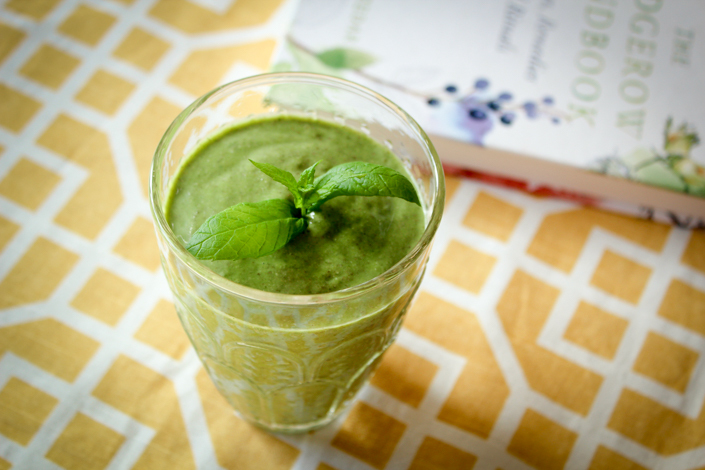 my Shamrock Shake recipe from my book, Smarter Fitter Smoothies. 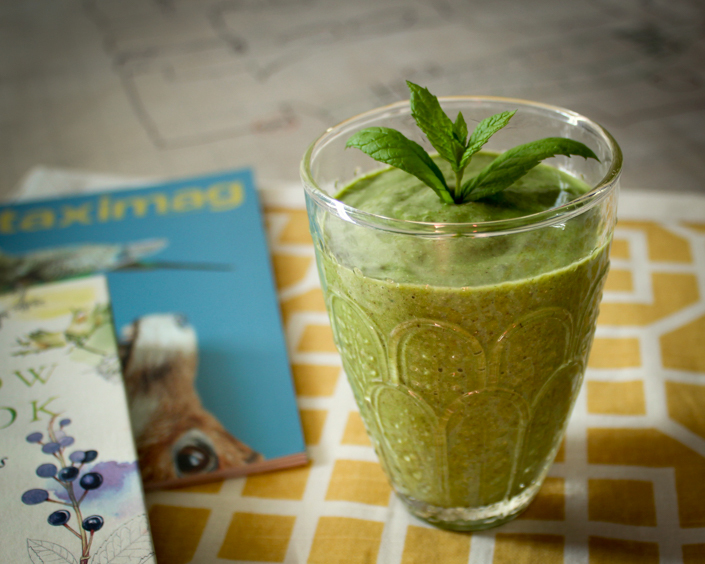 And since today is St. Patrick’s Day, I thought it was about time I share this healthy vegan smoothie on the blog for all the world to see. I’m not sure what it says about me that I am so nostalgic for a milkshake made famous by a certain fast food chain whose name begins with “M” and ends with “s”. But there you have it. And there’s no need to feel bad about drinking this “milk”shake – it’s totally vegan, relatively low in sugar and full of healthy vitamin-rich greens (the smoothie gets its green color from spinach). Feel free to toss in some avocado for an extra dose of creamy green goodness. 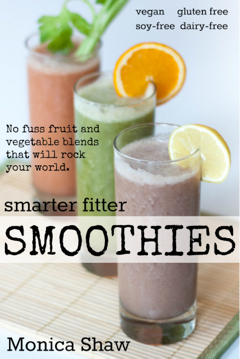 Combine everything a blender (I use a Froothie Optimum 9200) with enough liquid to blend and blitz until smooth. Garnish with a couple fresh mint leaves if you’d like.